There are only a paltry handful of lesbian-specific spaces left in the city, but many initiatives exist to inform of the bars, venues, and collectives that make up lesbian and queer history in the city and beyond. 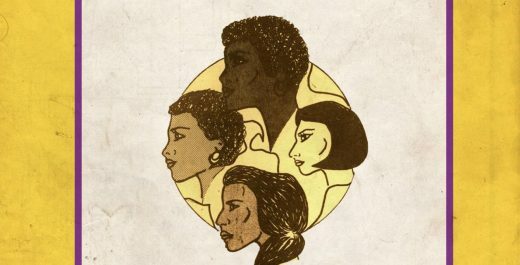 The Lesbian Herstory Archives in collaboration with EFA will be presenting an archival exhibition that shines a light on the Salsa Soul Sisters, a collective of lesbian and bisexual Black, Latina, Indigenous, and Asian-American women founded in NYC in 1976. If you can’t make the opening reception on Wednesday, there will be a panel discussion and open mic on June 1 and a closing reception on June 29. Opening Friday, May 11 at Denny Gallery, 6 pm to 8 pm. On view through June 17. 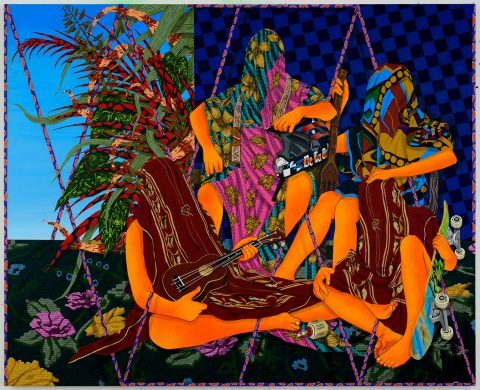 While some exhibitions, aside from hanging the work on view, keep the gallery space relatively untouched, Amir H. Fallah is taking the entire space into his own hands. In addition to displaying his vibrant portraits of the immigrant community in Los Angeles inspired by Persian miniatures and 17th century Dutch art, he’s also putting his mark on the gallery walls and the sounds that can be heard there. A interview-based sound installation will showcase the voices of his portrait subjects and other immigrants speaking about their own experiences in America, and the walls will be painted with the lyrics of Neil Diamond’s Coming To America translated into Farsi. The portraits themselves depict their subjects surrounded by personal belongings but with many of their physical features obscured, creating a depiction that offers a mixed degree of visibility. Opening Saturday, May 12 at Selena Gallery, 7 pm to 10 pm. On view through June 9. Gran Turismo is the name of a racing video game my dad used to play that I was never very good at, but it is also the name of the latest exhibition at Bushwick’s Selena Gallery, a space dedicated to showcasing artists of color. 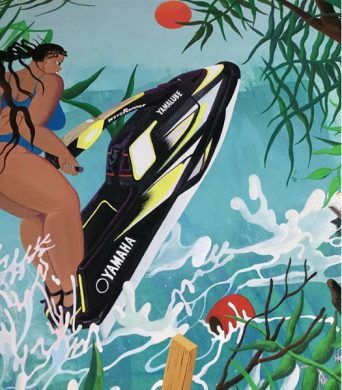 While it does reference the video game, this assortment of work by artists Cristina Tufiño and Jonny Negron also explores the feminine form and Puerto Rican culture and economics through striking imagery that references anime, tropical places, children’s TV shows, hieroglyphics, and more. I feel obligated to say you should race to the opening on Saturday. Just don’t accidentally slam into walls a bunch of times like you might in a racing game.